Here are some of the benefits you will experience from adding Power For Life to your daily health ritual. 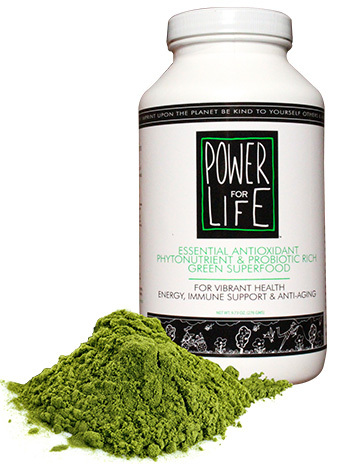 Power For Life is a unique, synergistic organic whole food blend that provides a vast array of nutrient-packed sea vegetables, high-powered herbal extracts, super foods and immune-boosting antioxidants and probiotics. Results speak for themselves… and we guarantee you will see and feel a significant improvement in your health! For vibrant well being, energy, immune support and anti-aging protection…Go from surviving your day to thriving by adding this all in one foundational organic superfood supplement to your daily health ritual.